This is not a bad kit, even if they did not include the lightened tracks for air delivery. The fact is that regular PT-76 tracks could and would be used after the air delivery when the lightened tracks needed replacement. 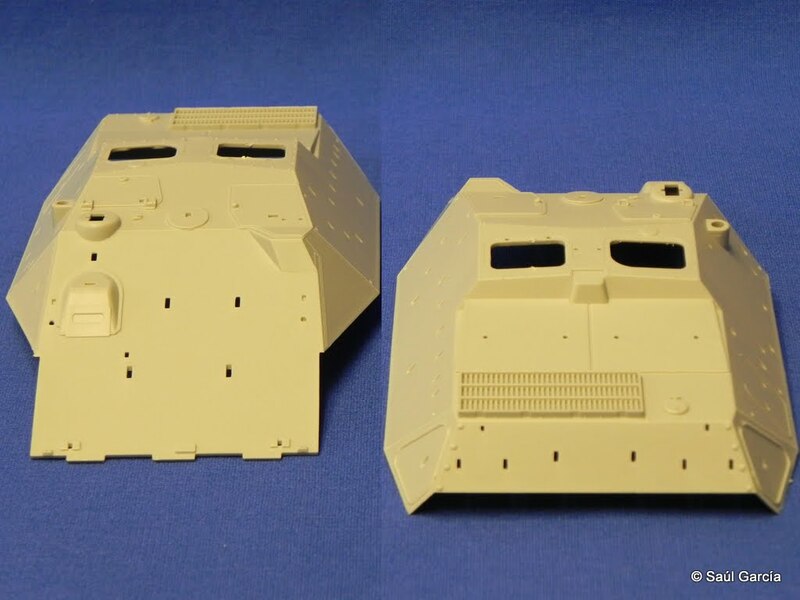 Also, there are photographs of the ASU-85 in action without a mantlet cover but the kit's mantlet does have errors. 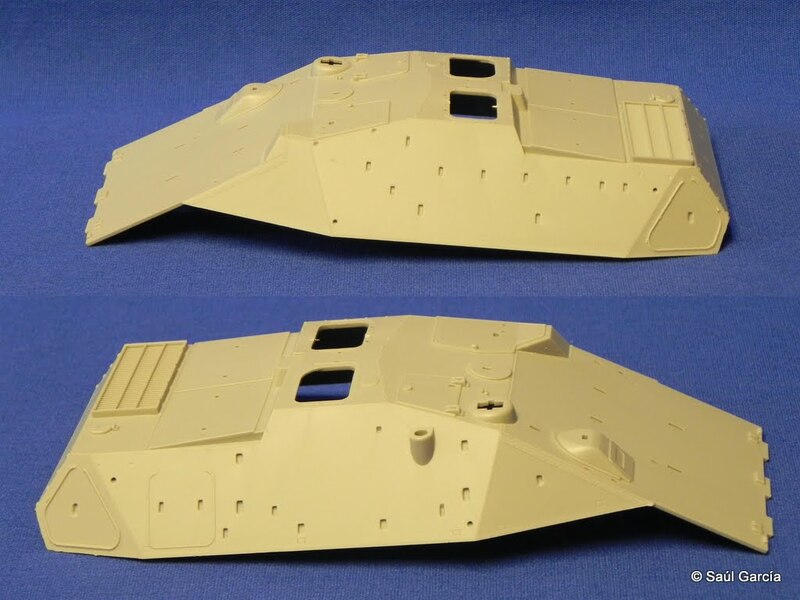 I started this kit as I waited for responses from Hilary L. Doyle on my Waffenträger model. So, 30 minutes at a time. Of course, this came to slow me down! So close to finishing this one! Help me! Calgon, take me away! The Body is making ready to publish a gun mantlet with protective tarp. I believe it is not yet released, but for more info you should contact Krisztián. 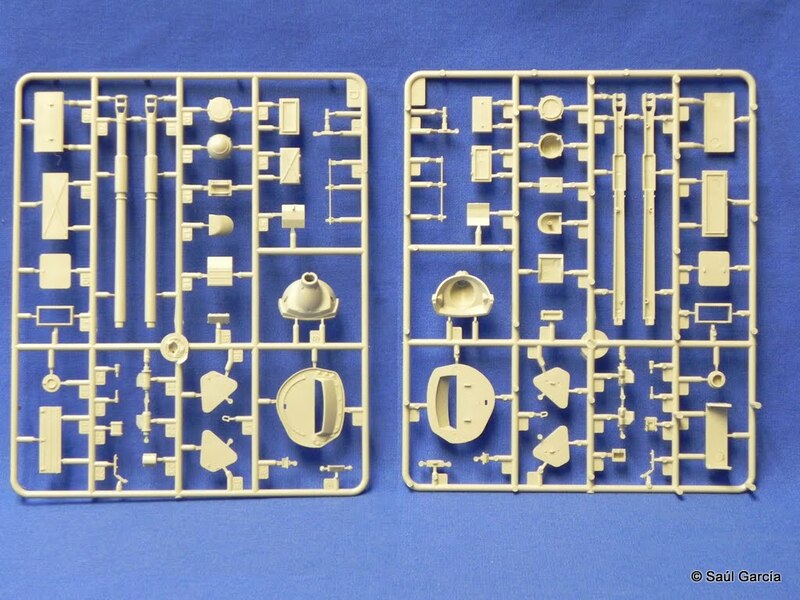 Some good news, Trumpeter has a set of articulating PT-76 tracks on the way... while they are not lightened (lightening holes in the teeth) they are perfectly suited for my kit. 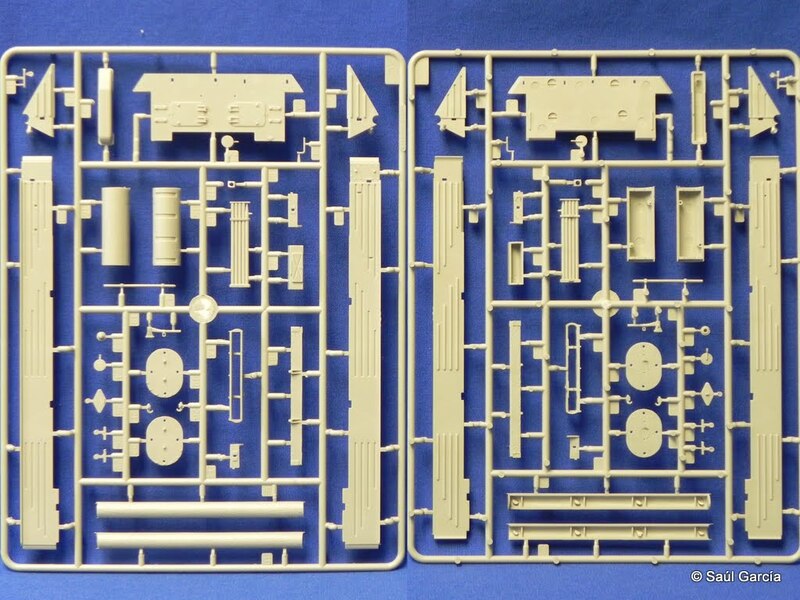 I also have sets of PT-76 tracks from Masterclub and Armo but have plans for them. Excellent and thank you for this photo review. Something I would like to build. Oops, I forgot this photograph! Well, I tried the ET Model fenders. I wasn't sure about them and, in the end, am glad that they are a separate set. If I did it over again, I would not order them. Note, there is nothing wrong with them, it is simply my opinion that the improvement over the plastic parts isn't enough to justify the cost. As you can see, the kit parts include embossing visible on both sides of the mud guards. The set does include some tiny tie down eyes which I will add. Wow, a mini-review!